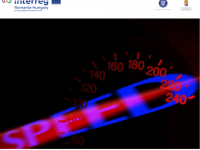 With the closure of the Written Procedure 24, approving the Minutes of the 4th Interreg V-A ROHU MC Meeting and the adoption of DECISION No 49 from July 24, 2018, a series of acceleration and simplification actions enter into force and are to be applied to projects under implementation in the framework of the Programme, for the benefit of beneficiaries. 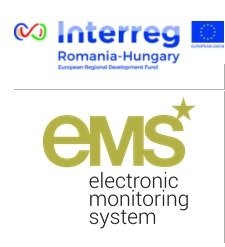 The Managing Authority and the National Authority agreed with the occasion of the last MC Meeting, held in Arad (RO) during June 28 – 29, 2018 that, in addition to the remedy actions already under implementation, there are several other measures to take, so that the implementation process is simpler and accelerated. Applicability of Project Implementation Manual (PIM) – taking into consideration that PIM may undertake other revisions too , in order to be able to avoid loss of funds (FLC cuts, etc. ), during the implementation/first level control/validation/verification process, the Project Implementation Manual in force at that specific time shall apply. The principle applies for all operations, at all levels. Eligibility of preparation costs – exclusively for activities that generated preparation costs, the proof of their provision/receive will be the submission of the application in the eMS system. Reporting of implementation costs – to enhance the absorption of funds, the beneficiaries will be able to include in their partner reports all expenditures paid during the reporting periods, plus an additional 15 calendar days (otherwise dedicated to preparation and submission of the FLC request). The measure will significantly accelerate the reimbursement flow. Eligibility of promotion and information materials and their related costs – in case the ex-ante endorsement of information materials has not been received from the JS (as stipulated in the Subsidy Contract and in PIM), the beneficiary will be required to ask for such endorsement before the related expenditure is validated, conditioned by their compliance with the Programme relevant rules. We wish all beneficiaries a successful implementation, hoping that the new measures adopted will be of help in implementing successful projects and we assure them of our full support.